While researching this story I was reminded of Bangalow on the New South Wales north coast, where I lived in the 1980s. Back then, I learned yoga from the local Buddhist community, became friends with a musician/mechanic who taught me how to tune a car and met a woman who showed me how to bog a gigantic ding in the front of my XB Falcon. Not long after a run-in with the local copper (our goat escaped and ate his prized rose bush), we got flooded in for five days and I waded across the creek to break the monotony. He spotted me at the local pub and I had to hightail it back through the flood to escape his wrath. It was all a bit Country Practice: crazy locals, beautiful scenery, and people knowing you and keeping an eye out for you (not that that was always a good thing – as the goat incident proves). You can’t expect to experience all of that in a visit to one of these towns, but with any luck you can get a taste of it – the nice arrangement of buildings, the natural environment abutting the town boundary, the sense of history and place, and most importantly, the friendly locals. 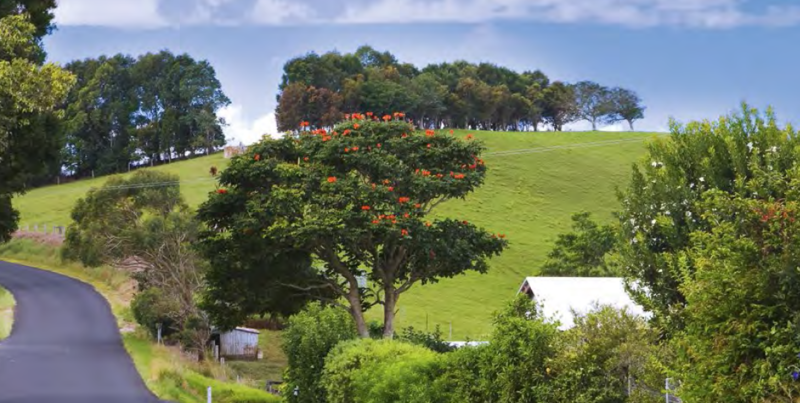 The Northern Rivers town of Bangalow is a relaxed but stylish village close to Byron Bay, in hills so lush and green you’re likely to get sore eyes just from looking at the scenery. It has a charming main street with pretty terraces dating back to the 1800s, framed by Bangalow palms. 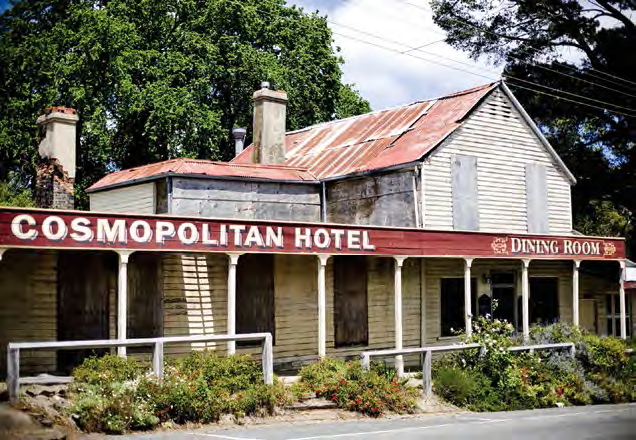 It was one of the first towns established in the area, originally to service the timber cutters who came to get the ‘big scrub’ of cedar and other subtropical rainforest timbers. One of the town’s minor treasures is the walking track that winds along the edge of Byron Creek. Within a few paces you’re swallowed up in a forest of strangler vines and huge, mottled trees that shut out the sunshine. Water monitors scuttle away from the path and into the brown creek alongside. A popular farmer’s market is held each month. Although the town has grown of late, in some ways it has become even more peaceful as the highway now bypasses it instead of tearing through the main street as it did in the 1980s. Unfortunately, the station at the back of the pub no longer takes passengers down to Byron Bay. However, if you want a nice drive, take the Bangalow Road (called the Byron Road in Bangalow) down to the coast via some spectacular scenery. Bellingen is also on the New South Wales north coast – a picturesque town situated roughly halfway between Brisbane and Sydney, and not far from Coffs Harbour. Running through the centre of town is the Bellinger River – providing tranquil water views for many of the guesthouses in the region. Abounding with natural beauty, Bellingen promises a relaxing retreat from the hustle and bustle of modern life. The Bellingen markets boast a surplus of locally-grown produce and handmade crafts, and there is live entertainment for all ages. Referred to as the creative hub of the Coffs Harbour region, Bellingen is also home to the Bellingen Jazz and Blues Festival (held every year around August) and the Global Music Festival. 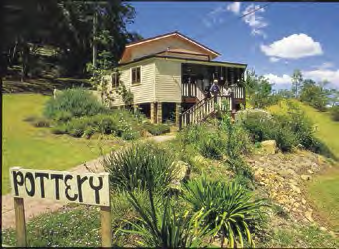 Within the Bellingen community are a number of writers, artists and musicians – imbuing the area with a dynamic creative energy. Up into the New England district there are lots of cute towns, many with a cool, British flavour. One of the cutest is Nundle, a former gold-mining town 60km south-east of Tamworth, now gaining a reputation for its smart accommodation and restaurant scene. The town features quirky little shops selling homewares, yarn, antiques, craft, and patchwork supplies. 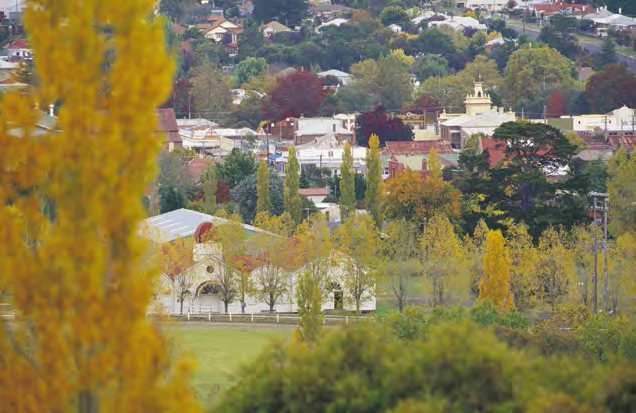 The town has plenty of annual events to keep you entertained including the Nundle Gourmet Picnic in March, Nundle Go for Gold Chinese Easter Festival also in March, the Great Nundle Dog Race in May and a 15km mountain bike race in November called Le Tour de Rocque. Also, you can fossick year round. Glenn Innes sounds like it belongs in Scotland, and the town is actually known as the heart of Celtic Country because of its original Scots settlers. It has a lively Celtic Festival in April. It also hosts Minerama, a four-day program of fossicking excursions and a lively gem show. Those who can’t afford the jewellery can scour the gravel at Wee Brek Fossicking Park for their own buried treasure. A little lower down the highlands is the historic town of Tenterfield. Here in 1889, Sir Henry Parkes delivered his famous Birth of our Nation speech in the School of Arts. His rousing oratory is credited as the decisive moment that set the country on its path towards Federation. You can still visit the School of Arts. 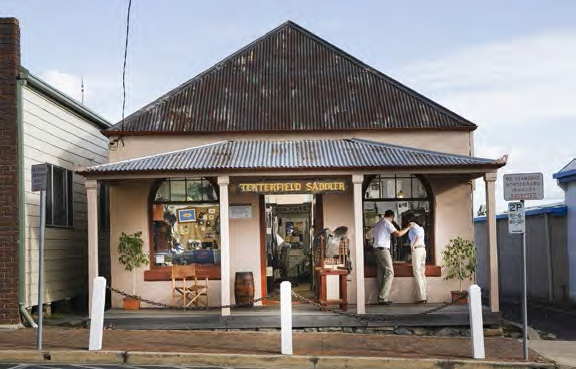 Of both old and new significance is the Tenterfield Saddlery, made famous by Peter Allen’s song, Tenterfield Saddler, a tribute to his grandfather who ran the saddlery from 1908 to 1960. Stannum House in Tenterfield is a colonial-era mansion built in the Italianate manner, with four grand guestrooms gracefully decorated with cedar timber, antiques and marble fireplaces. 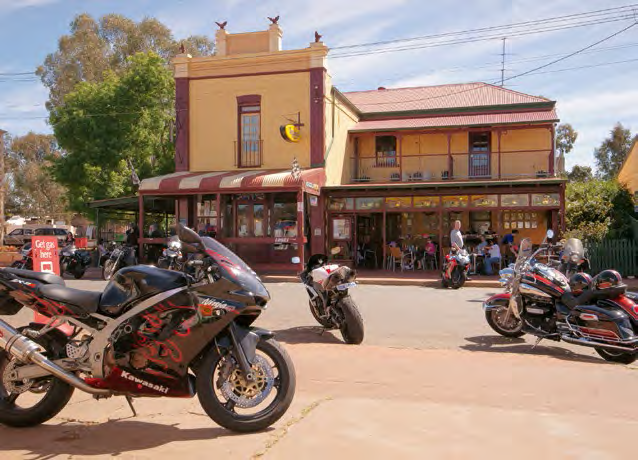 Gulgong is another historic town spawned by the 1870s gold rush. 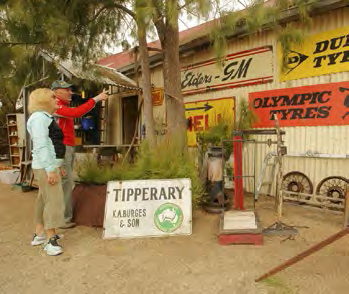 About 30km from Mudgee, it’s now home to several fascinating museums and has around 130 buildings with National Trust classification as well as the Pioneers Museum and Henry Lawson Centre, a living memorial to one of Australia’s greatest bush balladeers. The Gulgong district is famous for its clays, and both the town and its surroundings are a haven for craft workers. You can spend time shopping for treasures in Cudgegong Gallery which has an outstanding display of ceramics in a cool, modernist space. The Southern Highlands is another area with many charming towns in a scenic location. 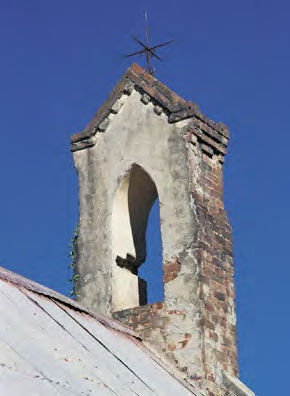 One is Bowral, nestled at the base of Mount Gibraltar. It’s famous for its country gardens and fields of tulips in spring and has long been a fashionable holiday destination for Sydneysiders. Stunning private gardens from grand old estates are a delight in spring and autumn while shopping experiences vary from antiques and jewellery to homewares and arts and crafts. A highlight for cricket fans is the Sir Donald Bradman Oval and the International Cricket Hall of Fame. Outdoor sports include fly-fishing on the lake or golf at one of the town’s excellent courses. Bowral Lookout is well worth a visit. Not too far away is the delightful village Berry, with its historic buildings and leafy surrounds. 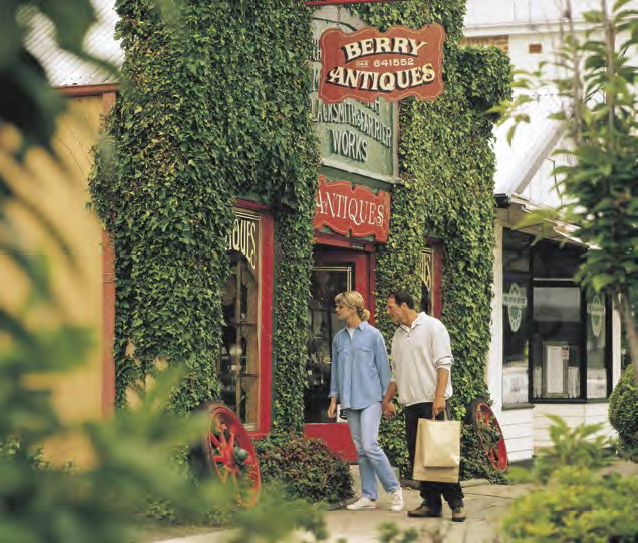 Over the past few years Berry has become a very popular refuge for city folk seeking fresh air and a less hectic lifestyle. Even so, the town is well supplied with many ingredients of a sophisticated lifestyle including design outlets and gourmet cafés. Mittagong has a fine collection of sandstone buildings dating from the mid-19th century. 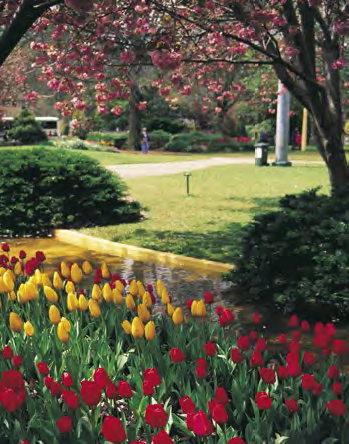 Stroll along Main and Victoria Streets to see fine country homes, delightful gardens and specialty shops. The gateway to the Southern Highlands, Mittagong, lies between the volcanic peaks of Mount Gibraltar and Mount Alexandra, just 110km south-west of Sydney. The town’s pretty gardens are open to the public throughout the year but it’s in spring and autumn that they fully bloom. This is a great place to potter for antiques, books, good food and wine. If you head towards the coast, seek out Milton, a historic agricultural town close to magnificent beaches, set on a ridge between green valleys and the Great Dividing Range. This National Trust town has blossomed over the past few years, with bookshops, cafés and galleries taking over most of the main street, making Milton a pocket-sized delight. Set in lush farmland, Milton is starting to meld with the neighbouring coastal towns of Mollymook and Ulladulla. To the west of Milton, the landscape is dominated by the rock spire of Pigeon House Mountain, one of the most striking features of Morton National Park. The ascent to the top of the mountain involves a final demanding climb up ladders, but the reward is the sublime view. In the Dandenong Ranges sits the quaint village of Olinda. 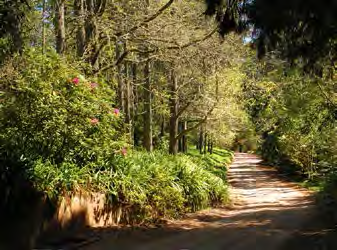 Visitors can soak up postcard-perfect scenery in Olinda’s public and private gardens, search for boutique treasures in the craft and antique shops, browse art and handicraft galleries, and dine at a number of the region’s restaurants. Stylish accommodation is tucked away in secluded spots along the many forest roads. 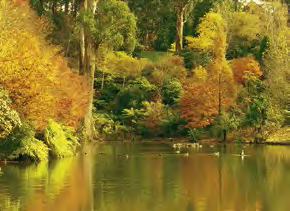 Here you can ride Puffing Billy, Australia’s oldest steam railway and one of the finest preserved railways of its kind in the world, travelling through 24km of Dandenong Ranges’ beautiful forests and fern gullies. The Macedon Ranges boasts the quaint village of Trentham where you can relax, rejuvenate and enjoy a variety of indulgences. Visitors can spend the days exploring the picturesque country roads and lanes, filling the car with fresh seasonal produce at farm gates and stocking up on excellent cool-climate local wines. A number of luxurious accommodation options are available in the area including spa retreats. When nature calls, there is also plenty of natural attractions for a dose of fresh air in the great outdoors. 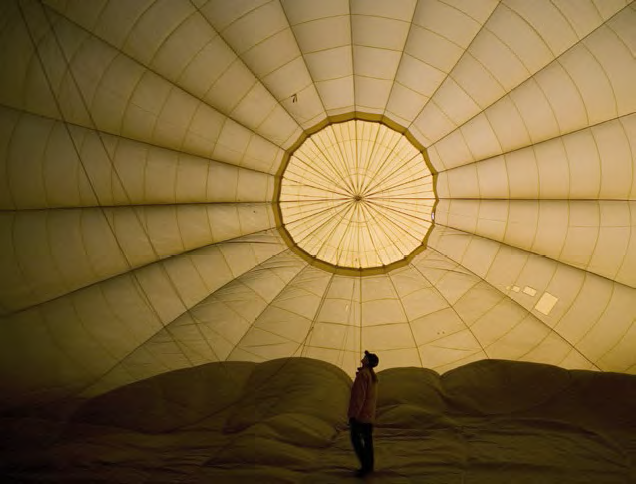 Mildura is a unique village where the edge of the Australian outback meets the mighty Murray River. It is famous for its paddle steamers, wine, food and history. It is located just over five hours’ drive north of Melbourne. 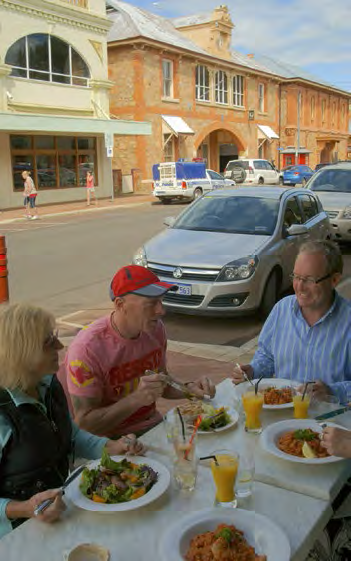 There are a number of very attractive smaller towns brimming with character in Western Australia. One is York; surrounded by rolling countryside and pastures, it’s easy to see why this town became the first inland settlement in WA. Retaining its heritage charms, it is one of Perth’s favourite country escapes where you can indulge yourself in nature, history, arts, crafts and outdoor pursuits from horse riding to skydiving. A drive along the Great Eastern Highway takes you from the bustle of Perth’s CBD to the blissful tranquillity of the Avon Valley heritage town in less than an hour and a half. From York you can take a day trip to New Norcia and the serenity of Australia’s only monastic town. In the southwest is picturesque Bridgetown. Sitting against a backdrop of the beautiful Blackwood River Valley, it oozes old world country charm while serving a taste of the good life in generous portions, with wineries, delicious fresh produce, arts, crafts and stunningly scenic drives. Also in the southwest is Margaret River where rolling vineyards sit against a backdrop of ocean and forest. It is well known for its wines, and certainly the 200 vineyards and 90 cellar doors are part of its charm. There are also boutique breweries, unique accommodation, quality local restaurants, art galleries and touring options. The other side of the town is its surf culture, which has been subsumed by the food and wine elements to some extent but is still quite apparent. It is still renowned for having one of the west’s top surf breaks. Nearby is the fascinating seaside town of Albany, an emerging food, wine and arts destination. Boasting a combination of rugged natural beauty and a wide range of quality tourism attractions, Albany is set against a backdrop of rugged granite coastline, green seas and wild natural beauty. Further to the east is Esperance with its unspoiled rural coastline, stunningly white beaches, rugged parks and marine adventures. The white sands of Esperance’s beaches frame spectacular turquoise waters and provide perfect swimming conditions. The town rests on the shores of Esperance Bay where the Recherche Archipelago is made up of hundreds of tiny islands. Esperance offers a great time with snorkelling, four-wheeldriving, sand boarding, fishing, abseiling, and a whole host of other activities. Up on the Coral Coast is Coral Bay, a relatively quiet resort town with a few holiday parks, holiday homes and convenience stores. It provides access to the iconic Ningaloo Reef and all its wonders, drawing visitors worldwide from April to July to see its famous whale sharks. There are plenty of other things to see and do such as glass bottom boating, fishing, snorkelling or taking a leisurely stroll through one of the wildflower trails.